2016-12-06 01:01:37 53 168 5420 44 Xbox Design Lab with Aaron Greenberg! 2016-12-09 19:06:04 38 74 295 9 The Elder Scrolls Online Adventures! 2016-12-14 22:29:22 65 82 797 -21 Destiny - The Dawning Community Playdate! 2017-01-25 18:56:37 78 61 489 -28 Xbox: Now Playing! 2017-02-01 18:57:31 67 78 258 -12 Now Playing! 2017-02-08 19:05:12 59 82 839 5 Now Playing! 2017-02-15 19:02:53 62 96 462 13 Now Playing! 2017-02-22 19:10:03 64 86 1132 -217 Now Playing! 2017-03-01 19:01:32 53 90 326 24 Now Playing! 2017-04-06 18:30:48 34 48 1281 98 [email protected] with Special Guest Ron Gilbert! 2017-04-07 18:06:30 38 34 368 -4 [email protected] Showcase - Talent Not Included! 2017-04-14 19:01:48 63 64 266 4 Black Ops II is backwards compatible! 2017-04-28 18:01:15 63 56 847 -15 Lilttle Nightmares Launch with dev Q&A! 2017-05-04 18:00:00 55 49 900 -13 [email protected] Showcase! 2017-05-05 18:01:09 63 49 230 -12 Prey Launch Stream with Bethesda's Pete Hines! 2017-05-15 22:01:12 33 123 695 16 Game Chat with Will Arnett and Friends. Pre-record. 2017-05-17 21:59:17 55 28 629 -5 Streams and Themes! 2017-05-24 21:29:21 65 157 2631 40 Gwent Public Beta is here - and so are CD PROJEKT RED! 2017-05-25 18:03:27 51 52 449 13 [email protected] - RiME preview and Late Shift with devs! 2017-05-26 18:00:49 44 50 205 -5 Portal Knights With Devs! 2017-06-02 21:03:04 71 43 504 29 It's Launch Day!! 2017-07-12 18:12:39 52 37 0 9 Crowd Play - YOU decide what happens! 2017-07-17 21:58:44 56 39 90 81 Meet the Interns! 2017-07-19 18:02:26 72 30 33 2 Let's Crowd Play! 2017-07-19 21:58:07 96 58 157 -7 Beta Early Access! 2017-07-24 22:00:43 74 31 142 205 Xbox Interns Meet Zombies! 2017-07-27 18:00:46 54 35 0 0 [email protected] Showcase - Fable Fortune and Fortnite! 2017-08-02 21:05:57 59 36 69 1 Crowd Play with us! 2017-08-04 18:02:35 72 50 122 -2 Beta Time! 2017-08-09 18:01:29 63 29 43 2 Crowd Play with us! 2017-08-16 17:41:56 83 25 77 14 Crowd Play with us! 2017-08-30 18:13:38 51 30 0 0 Crowd Play with us! 2017-08-31 18:06:04 58 56 0 0 Launch Day with Chloe and Rachel! 2017-08-31 22:04:02 40 82 0 8 [email protected] Showcase with Developer Grinding Gear! 2017-09-01 22:02:10 52 92 85 6 Private Beta Time! 2017-09-05 22:01:58 63 39 63 9 Let's go Bowling! Tekken Style! 2017-09-06 18:12:55 32 11 46 0 Crowd Play with us! 2017-09-06 22:01:08 43 51 69 0 Launch Day Hype! 2017-09-07 00:48:39 86 132 220 14 Launch Day Hype! 2017-09-08 18:00:18 64 51 92 -4 Play First - Now on EA Access! 2017-09-13 18:05:17 49 22 35 -3 Crowd Play with us! 2017-09-14 18:01:12 63 48 53 -7 Crowd Play with us! 2017-09-14 22:12:24 52 73 91 2 Dead By Daylight is free to play all weekend long! 2017-09-15 18:02:52 32 36 0 -1 Ball Is Life - Launch Day Edition! 2017-09-15 21:59:03 75 38 84 -4 Launch Day gameplay with developer Arkane Studios! 2017-09-19 22:02:19 52 51 61 -3 Universes Collide! Launch Day HYPE! 2017-09-20 17:55:44 109 44 163 3 Crowd Play with us! Episode 3 out NOW! 2017-09-22 17:56:50 68 98 99 1 Start your engines! Launch Day with Devs! 2017-09-22 22:16:24 68 52 49 2 Let's Kick It! EA Access Play First Trial is now available! 2017-09-26 22:04:01 60 281 316 2 Let the Battle Royale begin! 2017-09-28 18:01:44 63 212 157 8 [email protected] - Party like it's 1930! 2017-10-05 18:00:10 74 30 187 -4 [email protected] Showcase - N++, Let Them Come, and more Cuphead! 2017-10-11 18:02:45 62 44 63 -5 'Watching Wednesday - Halloween Terror is back! 2017-10-12 21:58:45 76 33 88 2 Free Weekend and new PVP mode! 2017-10-13 22:59:57 55 42 44 1 Frightful Friday! The Evil Within 2 launch day with devs! 2017-10-24 18:00:07 54 119 150 0 Original Xbox games now available on Xbox One! 2017-11-04 01:50:32 74 149 187 4 Xbox Live Sessions | Call of Duty: WWII w/ Dave Bautista & Megan Fox. 2017-12-11 18:57:34 117 111 312 5 Life is Strange: Before the Storm with Rhianna DeVries, voice of Chloe! 2017-12-12 18:59:13 115 92 244 0 ARK: Aberration launch day with developer Studio Wildcard! 2017-12-12 23:00:12 54 254 212 4 PUBG is now on Xbox One! 2017-12-13 19:04:46 60 27 158 0 Vermintide with developer Fatshark - now FREE on Games With Gold! 2017-12-14 19:01:42 63 48 0 0 [email protected] Special Edition - Behind the Scenes with Cuphead developer Studio MDHR! 2017-12-14 23:00:23 54 135 162 -3 PUBG Power Hour with Aaron Greenberg and Diarmuid! 2017-12-22 02:55:01 59 93 171 2 Xbox Live Sessions | Fortnite Battle Royale with Nolan Gould! 2018-01-23 23:00:44 64 42 80 -1 Assassin's Creed: Origins - The Hidden Ones now available! 2018-01-24 23:02:05 72 68 165 -9 Join The Resistance! 2018-01-29 19:02:41 122 121 321 1 Life is Strange with Katy Bentz - Voice of Steph! 2018-01-29 22:55:58 69 93 86 -2 PUBG Power Hour with Major Nelson and Rubes! 2018-01-30 23:02:05 42 29 48 -1 The Freedom Chronicles Episode 2 Now Available! 2018-02-01 19:02:38 72 45 137 -6 [email protected] Showcase - Marooners & Wulverblade! 2018-02-06 23:00:45 74 54 114 -7 Return to Mordor - Blade of Galadriel DLC now available! 2018-02-07 18:59:14 65 43 60 7 Welcome to the Resistance - Prop Hunt returns! 2018-02-12 22:57:24 97 81 150 -8 PUBG Power Hour! 2018-02-15 19:01:29 63 32 56 0 [email protected] Showcase - The Sequels Edition! 2018-02-20 22:58:43 66 31 65 -3 It's the Year of the Dog! 2018-02-21 19:00:01 74 31 113 -4 Chasing that sweet Victory Royale! 2018-02-23 23:02:04 72 31 214 -7 Sword Art Online is here! 2018-02-26 23:02:54 62 40 64 -3 PUBG Power Hour! 2018-02-27 23:01:20 53 32 89 -2 Fortnite Funday - Battle Pass 3 is here! 2018-03-02 19:05:40 49 17 50 -5 Ball is Life! 2018-03-07 19:01:18 73 34 123 -3 Victory Royale or Bust! 2018-03-07 22:59:20 65 20 56 -3 Welcome to Gilly Island! 2018-03-08 20:59:17 95 153 296 12 Life is Strange: Farewell with Ashly Burch and Hannah Telle! 2018-03-21 18:01:24 73 31 173 -8 Fortnite Funtime - Victory Royale or Bust! 2018-03-21 22:00:31 74 28 125 -3 Final Fantasy XV's Noctis comes to Tekken 7! 2018-03-23 19:51:08 203 35 398 -5 Free Weekend with Bethesda! 2018-03-26 17:58:25 66 41 350 -5 Sailing the Pirate Seas! 2018-03-27 17:53:33 71 27 100 -2 Crowd Play - Choose your own Joker! 2018-03-27 20:51:43 73 75 209 2 Xbox Live Sessions - Far Cry 5 with Desiigner! 2018-03-28 18:01:11 63 32 67 -1 Fortnite Funtime! 2018-03-28 22:01:55 63 31 51 -7 Monster Hunter World Academy - Meet Deviljho! 2018-03-30 22:03:02 71 29 110 2 Fight Friday - Broly and Bardock enter the arena! 2018-04-04 18:02:35 12 24 0 0 Fortnite Fun - Victory Royale or bust! 2018-04-05 18:00:20 74 57 256 -5 [email protected] Showcase - TERA and Minit! 2018-04-06 18:02:27 82 34 126 -6 Ball is Life - Wheels Edition! 2018-04-07 17:19:08 75 247 448 24 Xbox Live Sessions @ PAX East | PUBG with Deadmau5 & Playerunknown Brendan Greene! 2018-04-08 18:51:58 93 62 175 -1 Xbox Live Sessions | WWE2K18 Feat. Ric Flair and Ember Moon! 2018-04-12 18:00:07 74 34 150 -1 [email protected] Showcase! 2018-04-13 20:00:51 204 57 334 11 Friday the 13th Scream Stream - 3 hours of frights! 2018-04-18 18:00:05 74 30 128 -4 Fortnite Fun! 2018-04-20 18:15:31 49 17 38 -7 Ball Is Life - Casey Powell Lacrosse 18 and FIFA! 2018-04-20 22:03:34 61 118 131 2 State of Decay 2 - Live Demo with Undead Labs! 2018-04-23 18:06:57 28 27 0 -2 Xbox Live Creators Program Spotlight - Fighties with Pillow Pig Games! 2018-04-23 21:59:02 75 26 99 2 PUBG Power Hour! 2018-05-01 21:58:51 26 16 20 0 Proving ourselves in the Guardian Trials! 2018-05-02 18:07:11 57 20 62 -1 Fortnite Fun! Season 4 is here! 2018-05-09 18:03:59 61 32 86 -8 Fortnite Funtime - Thanos has arrived! 2018-05-09 22:04:30 60 24 79 -3 Fortnite Funtime - Thanos has arrived! 2018-05-10 18:00:14 64 57 112 0 [email protected] Showcase - Astroneer with System Era! 2018-05-11 22:01:39 63 34 76 0 Laser League - Now on Xbox Game Pass! 2018-05-14 21:54:59 80 112 352 1 How will you survive? State of Decay 2 Sneak Peek! 2018-05-16 18:01:46 63 33 46 -2 Fortnite Funtime - 50v50 returns! 2018-05-21 22:01:01 83 84 233 -1 How will Will survive? State of Decay 2 with Xbox Wire's Will Tuttle! 2018-05-24 18:00:18 64 34 84 -4 [email protected] Showcase - Descenders and Gorogoa! 2018-05-30 18:01:07 63 30 62 -1 Fortnite Funtime - Custom matches and Cart racing??? 2018-05-31 18:02:55 62 29 80 4 [email protected] Showcase - Die for Valhalla and Lichtspeer! 2018-05-31 22:06:17 28 39 0 -1 Creator's Corner - Derelict Fleet with developer Bionic Pony! 2018-06-01 22:10:01 54 51 97 -7 Force Friday Redux - Star Wars comes to Xbox Game Pass! 2018-06-06 18:00:26 64 32 99 11 Fortnite Funtime - Pre-E3 Edition! 2018-06-06 21:59:20 65 29 96 10 Monster Hunter Academy - Meet Lunastra! 2018-06-20 18:03:32 81 117 292 -56 Fortnite Funtime! 2018-06-22 17:58:43 66 50 147 -19 Ball Is Life - World Cup is here! 2018-06-26 19:56:45 68 177 498 -7 New Release Tuesday! 2018-06-27 18:00:13 74 58 261 -19 Fortnite funtime! 2018-06-28 18:01:13 53 49 107 -10 [email protected] presents.... Games you can eat??? 2018-06-29 18:04:21 60 80 245 -11 Ball Is Life - Fifa World Cup! 2018-07-03 22:02:15 62 388 162 -6 Surviving and Celebrating in Style! Independence Pack is here! 2018-07-06 17:59:23 85 320 1119 -7 Ball Is Life - World Cup time! 2018-07-06 22:02:51 52 33 89 -7 Let's go on an adventure! 2018-07-11 17:59:38 75 55 188 -7 Fortnite Funtime - Season 4 finale! 2018-07-12 21:01:50 63 46 100 -9 Squad up for Liberty Strike! 2018-07-13 18:04:03 70 49 194 -7 Ball Is Life - World Cup Finals and more! 2018-07-16 21:59:52 15 104 0 0 PUBG Power Hour! 2018-07-16 22:17:42 47 118 0 1 PUBG Power Hour! 2018-07-18 18:01:12 73 52 211 -6 Fortnite Funtime! Season 5 is here! 2018-07-18 22:07:47 57 44 83 -6 Monster Hunter Academy Episode 11 - Summer Twilight Fest! 2018-07-19 20:58:25 66 45 170 1 Squad up for Liberty Strike! 2018-07-20 00:03:06 11 49 0 0 Squad up for Liberty Strike! 2018-07-20 19:57:26 67 38 75 -2 Xbox Live Sessions - PUBG with PlayerUnknown Brendan Greene! 2018-07-21 23:58:41 66 58 89 0 Xbox Live Sessions | Sea of Thieves Live from San Diego Comic Con w/ Freddie Prinze Jr.
2018-07-25 18:00:56 114 34 161 -15 Fortnite Funtime - Happy Birthday, Fortnite! 2018-07-26 17:59:09 75 56 217 -5 [email protected] Showcase - No Man's Sky! 2018-07-26 21:02:48 72 22 192 -11 I came in like a Wrecking Ball! 2018-07-27 17:59:24 75 32 164 -9 Sports and things! 2018-08-01 21:37:29 57 35 82 -7 Cursed Sails are here! 2018-08-07 20:59:47 65 134 399 11 Hot Dropping with Nico and Major Nelson! 2018-08-08 18:04:16 130 44 297 -7 Fortnite Funtime! 2018-08-08 21:05:29 69 42 152 -5 Goku and Vegeta join the fight! 2018-08-09 17:58:55 76 40 182 -3 [email protected] Showcase - Overcooked & Dead Cells! 2018-08-10 17:57:47 57 41 121 -3 Madden NFL 19 is here - Launch Day HYPE!!! 2018-08-10 21:01:35 63 32 92 -1 Black Ops 4 Beta! 2018-08-13 20:58:11 76 54 203 -5 Did you take your Joy today? 2018-08-14 20:58:27 66 129 243 1 Hot Dropping with Nico and Tara! 2018-08-15 18:01:02 93 27 138 -2 Fortnite Funtime! 2018-08-15 22:00:44 64 22 96 -4 Monster Hunter Academy Episode 13 - Behemoth Battle! 2018-08-16 21:00:04 74 23 112 -2 Free Play Weekend - PvZ Garden Warfare 2! 2018-08-17 17:57:50 67 39 130 -8 Footballin'! 2018-08-21 20:01:53 33 668 1719 -1 Master Chief is coming to Game Pass! 2018-08-21 21:09:34 25 496 1968 1 Hot Dropping with Nico and guests! 2018-08-24 21:10:32 54 42 0 -1 Fight Friday! 2018-08-29 22:07:07 47 106 0 -1 MW2 is now backwards compatible! 2018-09-04 17:59:31 85 45 155 -3 Forsaken is here - but where's Cayde? 2018-09-04 21:05:40 59 78 153 5 PUBG 1.0 has launched! 2018-09-05 20:59:10 65 66 112 -2 Open Beta - Early Access! 2018-09-12 18:01:03 63 34 95 3 Surviving the night in Daybreak! 2018-09-13 18:02:05 62 47 194 -1 A very vehicular [email protected] Showcase - Construction Simulator 2 and Super Street! 2018-09-14 21:01:34 123 40 186 -6 Blackout - Where we dropping? 2018-09-19 20:55:59 59 19 103 -9 Talk Like a Pirate Day! 2018-09-21 17:59:26 75 48 126 -3 Play First on EA Access! 2018-09-26 18:01:21 73 56 225 4 Fortnite Funtime - Season 5 Finale! 2018-09-27 17:57:20 77 32 146 -5 [email protected] Showcase - Hollow Knight & Think of the Children! 2018-09-27 21:00:49 74 53 181 0 Sailing to Forsaken Shores! 2018-09-28 18:07:36 67 42 156 0 Let's Kick It! 2018-10-03 17:55:05 129 31 234 -2 All about those Pets! Season 6 is here! 2018-10-03 20:59:32 65 27 121 -5 The Blue Bomber is back! 2018-10-04 17:55:32 69 36 141 -7 The Blue Bomber is back! 2018-10-04 21:00:49 74 28 83 -2 Xbox Live Gold Free Play Days - All champions unlocked! 2018-10-05 18:00:26 84 52 198 2 Let's Get Ready To Rumble!!!! 2018-10-05 21:02:04 52 45 74 -1 It's all Greek to me! 2018-10-12 17:56:48 68 30 55 3 Let's Kick It! 2018-10-12 20:59:03 65 46 93 -3 Black Ops is back! 2018-10-15 17:59:00 76 39 154 -4 Fortnite Funtime! 2018-10-16 17:57:55 97 46 148 3 Xbox Evolved - Extinction Reveal! 2018-10-16 20:59:05 125 38 220 -5 The New Hotness - Assassin's Creed Odyssey and LEGO DC Super-Villains! 2018-10-19 17:56:47 68 34 106 -5 Street Balling - NBA 2K Playgrounds 2! 2018-10-23 17:57:35 87 41 184 1 Xbox Evolved - Extinction Teaser! 2018-10-23 21:00:40 134 34 169 -8 The New Hotness - SoulCalibur VI & Call of Duty Black Ops 4! 2018-10-24 18:00:14 64 46 47 -4 Hot Dropping! 2018-10-25 20:57:50 147 30 241 -3 Unclog the Backlog - Far Cry 5 and Middle-earth Shadow of War! 2018-10-29 17:58:53 116 67 155 -5 Fortnite Funtime - Fortnitemares! 2018-10-30 17:56:10 98 49 180 3 Xbox Evolved - with Extinction reveal! 2018-11-05 19:03:18 81 74 104 -11 Fortnite Funtime! 2018-11-05 22:07:44 107 48 196 -4 Fortnite Funtime! 2018-11-06 01:02:52 72 41 93 1 Xbox Live Sessions – Forza Horizon 4 with Richard Sherman! 2018-11-08 19:01:15 63 35 63 0 [email protected] Showcase - Chasm and GRIP! 2018-11-13 21:59:53 105 49 196 -12 Happy 2-sday! 2018-11-14 19:00:00 115 41 189 -14 Can we survive the Extinction? 2018-11-14 21:55:26 109 43 219 -9 Let's Fire It Up! 2018-11-15 18:58:17 66 24 75 -1 Let's Fire It Up! 2018-11-16 21:59:51 135 42 219 -7 Deluxe Edition Early Access! 2018-11-26 19:01:47 123 60 194 -6 Fortnite Funtimes! 2018-11-27 18:59:07 105 40 123 0 Xbox Evolved - Extinction is here! 2018-12-03 18:57:03 57 50 102 -3 Fortnite Funtime - Season 6 Finale! 2018-12-03 22:03:08 131 42 243 -6 December Games With Gold - QUBE 2 & Dragon Age 2! 2018-12-04 18:58:43 116 171 214 -12 Xbox Evolved - Extinction! 2018-12-04 21:57:38 137 48 210 -13 New Hotness - Just Cause 4! 2018-12-06 17:59:46 115 37 162 -3 [email protected] Showcase - Triple Feature! 2018-12-06 22:04:35 120 40 213 -9 Unclog the Backlog - Return to Mordor! 2018-12-07 19:03:29 81 24 55 -2 Let's Kick it! 2018-12-07 22:02:45 62 56 108 -2 Xbox Exclusive Demo! 2018-12-11 21:59:17 85 27 86 -5 Unleashing Fury and Apocalypse Edition Unboxing! 2018-12-12 18:59:39 105 30 183 -5 Permadeath Mode! 2018-12-12 22:09:42 125 34 186 -3 Winter Star Fest and More! 2018-12-13 19:04:06 120 42 248 -4 [email protected] Showcase - Winter of Arcade Edition! 2018-12-13 21:58:47 96 37 139 -5 Unclog the Backlog - Forza Horizon 4! 2018-12-14 18:56:13 158 41 258 -6 What lies BELOW? 2018-12-14 22:06:10 98 39 168 -10 Fight Friday! 2019-01-07 18:58:51 96 33 111 -7 Fortnite Funtime! 2019-01-10 22:12:07 102 32 134 -8 Unclog the Backlog! 2019-01-11 19:00:16 84 24 51 -3 Let's Kick It! 2019-01-14 22:00:49 124 46 180 -4 Aquaman joins the fight! 2019-01-17 19:00:22 74 48 142 -6 [email protected] Showcase - Smoke and Sacrifice & Void Vikings! 2019-01-17 21:59:58 115 37 149 -3 Blackout Free Trial Now Available! 2019-01-18 19:07:01 77 38 144 -6 Kick it with Chris and Diarmuid - 2018 favorites! 2019-01-18 22:02:23 122 75 351 -2 Take to the (unknown) skies! 2019-01-22 19:00:17 84 33 151 -6 Death, Dinos, and Destruction! 2019-01-22 22:00:56 124 35 239 -9 The weekly reset - get that gear! 2019-01-23 21:58:59 136 37 201 -7 Achievement Chores! 2019-01-24 22:00:19 104 32 106 -12 Fortnite Funtime! 2019-01-25 18:58:14 126 41 195 -6 #LightsOut stream - Return to Raccoon City in Resident Evil 2! 2019-01-28 19:01:31 83 38 302 -9 Fortnite Funtime! 2019-01-29 18:58:14 116 45 214 -5 Kingdom Hearts III Launch Day! 2019-01-29 21:58:52 66 32 103 -4 The weekly reset - get the grind! 2019-01-31 22:04:18 90 39 110 -9 Free Play Days - Gears of War 4 and Fortnite! 2019-02-01 19:19:40 65 33 75 -2 Kick it old school with Chris and Diarmuid! 2019-02-01 22:03:27 131 54 276 6 Open Demo - Get to your Javelin! 2019-02-05 21:37:00 108 9928 125973 420 Inside Xbox is BACK for 2019! 2019-02-07 19:03:38 91 51 160 -5 [email protected] - Wargroove, ASTRONEER, and Pumped BMX Pro! 2019-02-07 21:59:46 125 44 161 -6 Anime Month is back! 2019-02-08 18:56:55 88 40 146 -5 Kick it with Chris and Diarmuid - Snowpocalypse Edition? 2019-02-11 18:56:29 118 56 192 -10 Fortnite Funtime! 2019-02-12 21:59:20 125 34 160 -5 Crimson Days are back! 2019-02-14 19:03:14 71 41 134 -3 [email protected] Showcase - Flights and frights in The King's Bird and Conarium! 2019-02-14 22:02:46 92 52 193 -5 Sneak Peek - Return to Hope County in Far Cry New Dawn! 2019-02-15 19:04:46 80 28 94 -7 Kick it with Chris and Diarmuid - learn to play! 2019-02-19 22:00:19 94 41 170 -15 The Weekly Reset - Get that gear! 2019-02-21 19:01:52 23 32 0 0 [email protected] Showcase - Puzzles and Platformers edition! 2019-02-22 22:02:51 102 50 144 -4 Launch Day - Do you hear the Anthem? 2019-02-25 18:56:13 128 30 126 -6 Fortnite Funtime! 2019-02-28 19:00:05 74 30 109 -4 [email protected] Showcase - Stellaris and Yonder! 2019-02-28 22:00:24 114 29 122 -5 Squad Up! 2019-03-01 22:01:48 123 40 144 -9 Open Beta is live! 2019-03-04 19:02:03 72 31 101 -1 Fortnite Funtime - Season 8 is here! 2019-03-04 21:59:05 115 41 218 -6 March Games With Gold! 2019-03-05 19:00:27 84 51 92 -8 Death Dinos and Destruction - Homestead Update is here! 2019-03-05 22:00:00 85 28 74 -3 Season of the Drifter is here! 2019-03-06 22:01:51 93 40 219 0 Freelancers unite! 2019-03-07 19:02:26 32 48 63 1 [email protected] - Black Desert and ToeJam & Earl! 2019-03-07 21:59:57 105 37 130 -1 Operation Grand Heist is under way! 2019-03-08 19:20:16 74 22 67 -2 Circle up for Victory! 2019-03-08 22:00:33 144 45 170 -3 Devil May Cry 5 launch day - Gameplay & Xbox Sessions with Joel McHale! 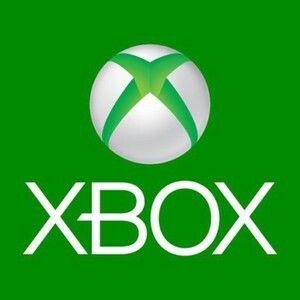 2019-03-11 21:01:36 123 48 282 8 Just Cause 4, Batman, and more are now in Xbox Game Pass! 2019-03-13 18:02:43 92 51 269 -23 Wild Appalachia is here! 2019-03-13 21:00:50 114 41 300 -16 You got bamboozled! 2019-03-18 18:00:06 124 38 155 -17 Fortnite Funtime! 2019-03-19 18:00:12 104 39 149 -11 Death, Dinos, and Destruction! 2019-03-19 20:59:25 65 37 84 -3 Washington Needs You, Agents! 2019-03-20 18:00:37 74 40 115 -8 Celebrating Fasnacht, Wasteland-style! 2019-03-20 20:58:25 136 33 208 -12 Season 1 Battle Pass and Octane! 2019-03-21 18:01:23 83 43 116 -6 [email protected] - Help Alex choose what to play! 2019-03-21 21:02:46 132 74 261 -11 Join Luffy and co. in One Piece World Seeker! 2019-03-25 20:59:37 85 53 151 3 Let's get this Firestorm started! 2019-03-27 18:02:29 62 43 137 -1 Wasteland Wandering - Survival Mode! 2019-03-27 21:00:09 104 75 226 -2 Survival meets RPG in Outward! 2019-03-28 18:00:48 74 22 98 -2 [email protected] Showcase - Trailmakers (Game Preview) and Gang Beasts! 2019-03-28 21:01:09 143 22 153 -3 Apex Legends - Octane and Season 1 action! 2019-03-29 18:03:30 61 26 64 -4 Talking baseball Opening Day, and Chris learns to play! 2019-04-02 18:01:20 103 31 47 -2 Death, Dinos, and Destruction! 2019-04-03 21:01:46 123 66 310 6 Borderlands is back - Now in 4K UHD! 2019-04-04 21:00:39 84 23 55 1 Bloody Palace is here - How long will Mike survive? 2019-04-05 18:22:16 102 31 100 1 The Division 2 - Chris learns to play! 2019-04-05 21:01:30 83 28 72 -5 Games With Gold featuring Garden Warfare 2! 2019-04-09 17:57:40 57 23 33 2 Who watches the Overwatchers? 2019-04-10 18:00:31 64 38 120 1 On the trail of the elusive Sheepsquatch! 2019-04-12 20:59:12 105 38 153 -4 OBJECTION! Phoenix Wright comes to Xbox! 2019-04-15 18:00:17 114 43 126 -9 Fortnite Funtime! 2019-04-17 17:58:50 96 42 303 -11 Xbox Evolved - Death, Dinos, and Destruction! 2019-04-19 21:00:00 125 71 323 0 Final Fantasy classics come to Xbox One! 2019-04-22 18:02:15 122 41 191 -6 Fortnite Funtime! 2019-04-23 17:59:02 115 80 273 -4 FINISH HIM! Mortal Kombat 11 is here! 2019-04-24 18:02:28 122 51 496 -6 How long can Alex survive? PERMADEATH Mode On!